But before we get to that, keep in mind that in addition to probiotic supplementation, you want to take care of the gut dysbiosis; by killing off the bad bugs and re-populating with good bugs. This much shorter book on Natural Treatments for Gut Infection should take care of that. It’s also available in eBook form if you prefer. Now that we’re clear on those important facets of healing IBS, let’s get into the nitty-gritty of specific probiotic dosing for IBS. Many IBS patients take our Lifestart 2 product which has the exclusive organism of Bifidobacterium infantis grown on goat’s milk. That organism has been found to have the most quieting effect on a hyperactive immune response that causes IBS. But we also tell them to take the Lifestart 2 along with the Healthy Trinity because there are multiple factors responsible for IBS. You can take the Lifestart 2 to stop the hyperactivity, but the other bacteria found in the Healthy Trinity contributes to overall digestive health if you suffer from Crohn’s or irritable bowel syndrome. You know what else I read recently, and I know you know Dr. Thomas Borody down in Sydney, Australia who has been spearheading the mycobacteria research and looking at it as the cause of Crohn’s and possibly colitis. He’s got a very interesting article he wrote, along with a couple other scientists, where they’re looking at probiotics not just from the angle of, okay well they can dominate all the bad bacteria in your gut and therefore increase the digestion, but also what you’ve talked about before – which was these beneficial bacteria can produce substances that regulate the immune system. So if you’re having a ton of inflammation because for some reason your immune system is turned up on high, ingesting these beneficial bacteria can bring your system back to balance. Lifestart 2 is the product we made specifically for hyperactive immune systems, evident in people that have irritable bowel syndrome. Question: So if I have IBS I should be taking that? Yes, Lifestart 2 would be the preferable product to start with. Question: Start with, and so then I can alternate and take the powder also? And go back and forth? Yes, you may. There is no incorrect way to take our product. There’s a better and best way to take it, but each person has to find the right fit for their body and lifestyle. Question: For mild or moderate IBS, what and how much would you take and how often. Are there any negative reactions with food and drugs that I should be aware of? If you get the Lifestart 2 you can go on the website or give us a call, and one of our health consultants can tell you how much to take. We offer you a free low carb diet or you could go on Jini’s diet as a quick start. You definitely have to watch what you eat and consume, there has been a lot of talk about IBS being aggravated by certain drugs, especially to people that are sensitive. If it’s mild now and you don’t take care of it, it might get much worse. Question: Were you saying that probiotics can help arthritis? Absolutely, arthritis is an auto-immune disease. Auto-immune diseases are caused by infectious bacteria that divert the immune systems attention to joints that resembles the physical structure. We have found that by taking the probiotics that you can get phenomenal relief, especially from osteoarthritis. Do you have a general dosage recommendation? At least 1 Healthy Trinity, 3 times a day to start with. I would definitely go on a diet that you would recommend, or a low carb diet we’d developed by a medical doctor for people to start. I also recommend a half teaspoon of the powder before meals every day. Question: You said it helps allergies? Yes. Allergies are basically your body’s intolerance towards environmental stimuli or intestinal stimuli. One of the things that’s very necessary in allergies, which pertains to Lifestart 2, is that you need a probiotic that has proven what we call “down regulation of the immune system”. So that it doesn’t react adversely to either environmental or intestinal stimuli. 1. Healthy Trinity – capsules that have the three species, but each species is separated from the other within an oil capsule. This capsule has the highest count of bacteria of all the Natren products. Three species (bifidobacterium, acidophilus, bulgaricus) altogether. 2. Powders – dark glass bottles containing the powder of one bacterial species in a growth medium. They can be bought individually or in a three-bottle pack. They can be bought as the powder that you scoop out and mix with water, or they can be bought as capsules containing the powder. The three bottle pack is called Healthy Start Tripack. They are sold in Regular form or in Non-dairy veggie form (powders or capsules). This pack is good to start with, or to use following a course of antibiotics. But for any course of probiotics to curb an established imbalance like IBS, Colitis or Crohns, it is far more cost effective to purchase the larger bottles of powders or capsules. The all-in-one Healthy Trinity Capsule is sold in quantities of 15, 30 and 90. 3. Lifestart 1 and Lifestart 2 are two products of bacterial strains found in the guts of healthy infants, called B. Infantis (B. stands for Bifido) – 1 is cultured on cow milk and 2 is cultured on goat milk. There is also a Vegan Lifestart available. All probiotic products must be kept refrigerated or cool at all times. Question: When is the best time to take the probiotics? It depends, some people like to take it before meals, some people like to take them after meals. The oil matrix you can take either before or after meals. I have a recommendation for the powders, take them at least 10-15 minutes before meals, so that you can have better survival of the ones that are in the intrinsic supernatant. And Gastro pH is a Natren product as well, Natasha? Yes, the Gastro pH is a chewable wafer made with beet fructose, which has a low glycemic index. It is great because it’s easy for people to remember to chew before and after meals. Questions: If acid reflux is what it is, you just continue to take your Nexium or whatever? Well you would try to wean yourself off of the Nexium because we know there is a host of side-effects when you’re on Nexium. Many people who have started our Healthy Trinity and Gastro pH program were able to wean themselves off Nexium within 72 hours to a week. Also, allergies are just insane in the western world, so many people are allergic to so many things. And I argue with researchers that say we have a too sterile environment, and I say ‘no’. The pathogens that are now in the community are so deadly that you dare not desensitize the environment. The stupid theory that you’re now going to somehow miraculously, without controlling the microbes, desensitize the immune system is, to me, sheer folly- like having a child play with nitroglycerine. A little bit of information can be very deadly. The important thing is that specific strains of these beneficial bacteria have an intimate communication with the immune cells on the intestinal wall. As you know 70% of your immunity is found on the intestinal wall. They can actually communicate with each other by emitting light protons or by biochemical means. Beneficial bacteria can actually tell the immune cells to stop producing pro-inflammatory or pro-allergy cytokines to calm down. Or they can tell us now that we have an invader, you need to make sure the macrophages – the Pac Man of the immune system – are called in to engulf the invader to protect the body. There is so much communication going on that we’re not even aware of. To tell you how smart the pathogens have become and why probiotic supplementation is so important in this day and age is that MRSA is not only a US problem but a Canadian problem as well. And that’s the Methicillin-resistant Staph aureus that’s still in our community. The MRSA in our community is so smart that it has learned how to defeat the immune system. It can actually produce an enzyme to break apart neutrophils, which are the white cell components of our immune system, to give themselves a head start in taking advantage of the body. The deaths from MRSA are now outpacing the deaths from AIDS in America. For people who are not in America we are referring to M-R-S-A, a new super bug. So, I just wanted to give you those 2 examples. 1 positive and 1 negative of how the bacteria try to take control of their environment. As I said, they’re extremely smart, and we have to get smart in utilizing their abilities to protect us. Here’s a quick question, we get a lot on the forum: For your Natren products, what are the pros and cons of the Healthy Trinity capsules (which do not contain the growth medium) versus the powders? Which like yogurt, contain the growth medium the bacteria is grown on? Can you talk about when you should use which one and the pros and cons? The advantage is that you will have more of the supernatant. Research and science has shown to us that these bacteria in part certain beneficial byproducts (fermentation end-products) in the supernatant that have tremendous effects in the body. For instance, the Lactobacillus bulgaricus will impart certain enzymes that will help us break down protein. It will also impart other enzymatic structures inside the supernatant that will help us break down the food that will not aggravate the immune system. It will also provide something called micro-lectins which are necessary positively-charged proteins that help the beneficial bacteria stick to the intestinal walls. You will also find production of hydrogen peroxide inside the supernatant, other anti-microbial properties, and a multitude of peptide and amino acids. We know that these amino acids and peptides have anti- carcinogenic properties, properties for helping maintain proper blood pressure (this is published work), and is a huge benefit. Some researchers show that when you include the bacteria in this intrinsic supernatant/culturing medium, the beneficial effects of this organism increases 50% – 60% more than if the organism was just by itself. Capsules obviously are easier to take, rather than scooping powders out and mixing and drinking it. It almost is sounding to me that if you can, especially if you’re someone that has a digestive illness, that you really should take the powders. That way, you get not just the bacteria, but also the other helpful elements. The optimal thing is to do what I call the Layering System, I told this to you before. You take the capsule, which is a big hammer with a lot of cells that are healthy going into the GI tract. Then you take the powder, which we offer in a capsule. They’re lower in potency but even the capsules maintain a greater percentage of the supernatant. So if you’re really averse to powder you can take the regular products that come in the regular powdered capsule, not just the oil matrix. If you learn about the products, there is a big payday. Each one of our products has different measurable benefits. Do you have people that are taking both the Healthy Trinity oil capsules, and the powders? I remember when we were talking another day and you were telling me about a woman that had C. difficile infection. She also had to take a massive dose of probiotics. Yes, that was Mrs. Gray I believe and it was 4 capsules of Healthy Trinity, 3 or 4 times a day and she was in her 80’s. That was one of my best cases because her family was very supportive. Because doctors were so ignorant that they’d take her off the probiotics and give her more antibiotics, to the point that she was close to death. Her family was able to intervene and forced the medical practitioners to make sure that their mother got the proper dose of probiotics. And within 6 months of her therapy; she was not passing any C. difficile in her stool. All the ulceration and the bleeding stopped. Matter of fact, as long as they could remember, she’d had severe arthritis in her hands so that she could not straighten her fingers. For the first time in 15 or 20 years she could straighten her fingers and the signs of arthritis had completely abated. Question: I just finished taking some antibiotics and had a bacterial infection, and I’m supposed to take intravenous antibiotics. I was just wondering which products I was supposed to take and for how long? Did you finish your antibiotic dosage? I would recommend that you take at least 1 Healthy Trinity a day, along with a half a teaspoon of each powder 3 times a day, so that your body gets coated with the bacteria. You get a bigger punch with the Healthy Trinity bacteria going into your large intestines. If you don’t have any side effects, then that would be the dosage. If you experience diarrhea, bloating, fatigue, I would take more. That would be the 3 powders, in un-chilled filtered water, before meals, 3 times a day for a couple of months. 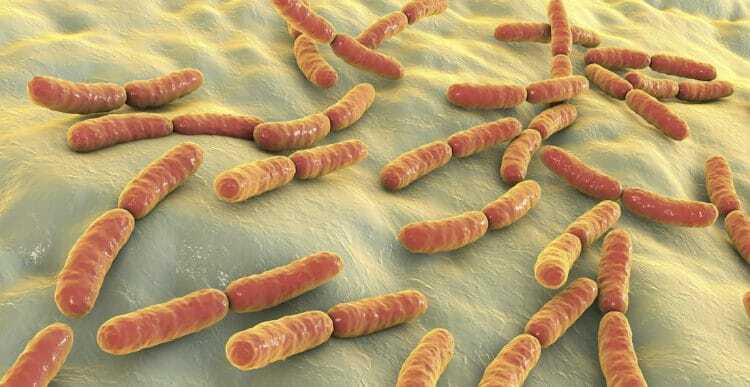 The World Health Organization recommends that you take a good probiotic every day, because as we age over 40, we can lose 40% – 60% of our beneficial bacteria. This is one of the things that causes disease and premature aging. Question: So take 1 Healthy Trinity every day after the couple months is up? Yes, I would do it as an every day part of your life. Much better than having a cup of coffee every day! Question: I have been diagnosed with Klebsiella pneumoniae and I’ve had excellent results from Megadophilus but I started the bifidus and I’ve had terrible indigestion, gas, all those things. I don’t know if that’s a typical Herxheimer reaction or what I should be doing? You are having a Herxheimer reaction, so keep taking the Megadophilus and possibly Digesta-Lac. Start maybe adding the Bifido Factor at maybe an eighth of a teaspoon at a time. None of these bacteria cause the gas and the bloating, because they’re just displacing something. Klebsiella are a prolific biofilm former. Sometimes one bacteria will be able to break apart the biofilm. When one bacteria is more effective in breaking apart the biofilm, that is why you’re having this reaction. 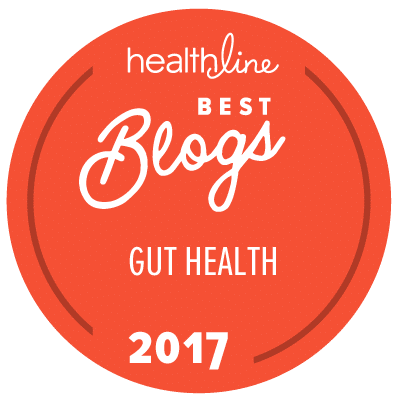 Okay, hope that was helpful and if you’re hungry for even more, join Natasha and I for our 4-part PROBIOTICS DEEP DIVE video series..
Jini- this is a fantastic article. I have a non related question. My dr has prescribed an MRI with gadolinium contrast to view internal structure and what he believes is a rectoele. What are your feelings on MRI with gadolinium? This is also another unrelated question but I couldn’t find another place to ask. You recommend angstrom iron and u also recommend Thorne Ferrasorb. Which is better for anemia these days. Thanks so much. Absolutely love you book and I’m trying to start the healing process. Thx. Thanks for reaching out! Both are well-tolerated iron. However, if you have any tendency towards intestinal bleeding or constipation, then Jini encourage you to try the liquid Angstrom Iron, which is even better tolerated and does not even require digestion to be absorbed. Thanks so much!! Also regarding probiotics. Is there any way perhaps you or Jini can look into Custom Probiotics by Harry in La Crescenta Glendale California? They make right there and I’m just wondering if they are comparable to Natren since it more convenient for me. Thanks. If not no worries. I am just going through the first step of my healing proces( resting the GI tract). Next going to start the wild oregano oil and probiotics. But my question is ,” is it necessary to take life start first? Another query is that,”is it helpful and necessary to take Bifido factor since I am an ostomate( total colectomy). Thanks for your message. if your IBD is in a very active state, or you are highly sensitive to probiotics, Jini recommend to start out with small amounts and very gradually build the dose up. In these cases, it is often best to start with Life Start (B. infantis) and then gradually work your way up to the adult species like L. acidophilus, B. bifidus and L. bulgaricus. The Bifido probiotic is most beneficial for the large intestine, but is as well for the rest of the body. If cost is not a concern for you it may still be worth using. However, if you are concerned on cost the other probiotics may be of more use to you can than the Bifido. Please let us know if you have any other questions. I have moderate Diverticulosis and mild cases of Diverticulitis in the past year. I’ve started the Wild Oregano and Healthy Trinity protocol and am in phase 2/3. I’ve increased my Natren probiotic powders (Healthy Trinity) to twice a day and my stools have turned very green. I’m not eating salads or green vegetables yet, besides a little avocado. Internet says green can be from bile not being broken down quick enough or because of an imbalance in the gut. I’m wordering if the green is connected to the increase of probiotics and if it’s a bad thing or temporary adjustment happening in my system. I’ve searched your website but haven’t found any mention of this. Thanks for any input. Thank you for reaching out! It is very hard to say what may be going on, as we do not know your full health history, etc. and we haven’t heard of that particular symptom occurring as a result of taking the Trinity. Also are you taking this with food? Healthy Trinity is an oil matrix capsule product so this needs to be taken with food meal or snack time to help breakdown the capsule and distribute the good bacteria.